Sending money to Bangladesh is easier and cheaper than it seems to be in other Asian nations. At least when you take note of the tips we have listed in this Bangladesh Money Transfer Guide. Sending money through banks is still very expensive and can take up to one week for the transfer to be completed. So be smart about it, save yourself money and time, and start using Foreign Exchange companies. Transfer fee up to $30. Double the cost of Commercial FX. Must have account to transfer funds. Currencies Direct is the way to go if you want to send money to Bangladesh because they have a zero fee for their transfers. This, alongside their € 100 minimum transfer amount, makes this FX company one of the most accessible solutions for many customers. WorldFirst also provides free transfers to Bangladesh from any country. Be it from Europe, America or Asia, their huge amount of currencies lets them cater to all of the client’s needs. The only downside for some people, as you can see in the table above, their minimum amount to be transferred is € 1,000 (or the equivalent in other currencies). Another great option for receiving money from abroad, especially if you are working with international clients as a freelancer is Payoneer. Take a look at our comprehensive review or go directly to their website and sign up. Since 2012, the government of Bangladesh has eased many restrictions regarding forex transfers. And with the guidelines provided by the Foreign Exchange Guidelines, our reviewed companies can provide their services to all the Bangladeshi clients from all the regions of the country. Currencies: With WorldFirst you can send money from Bangladesh to India, the Philippines, Sri Lanka, Thailand or any country in the world. How and why? Because they have access to over 100 currencies! Simple as that! Keeping in mind the fact that the Euro is used in 19 countries alone, you can start to understand how big of a reach 100+ international currencies can provide. Tip: If you need to regularly send small amount of money abroad, it will wiser to use the service provided by TransferWise. Because they have small and fixed fees, after a few small transfers, it will be more profitable. You can read more about the company and their services in our TransferWise review. You can send money to someone in Bangladesh such as a Real Estate Agent who is able to put your funds into a trust account on your behalf. This would provide a safe haven for your funds and provide liquidity to allow your agent to move quickly on a hot property. 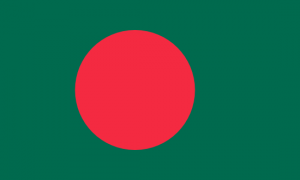 Best of all, you can send money to Bangladesh online using one of the registered brokers in London. You can do this by setting up an account and choose either the option to send money to a Bangladesh bank account or to the credit card that works best in Bangladesh. Yes, one option for sending funds to Dhaka is the bank-to-bank direct transfer. You should know that the banks will charge much higher fees, including transaction fees for providing the service and “foreign” transfer fees because the recipient is not on their standard nation list. Add to that the bank’s commission (which will come out of your account) for exchanging your money from pounds to taka first. Then, there will be the pesky charge on the receiving end that the Bangladesh bank might assess for money coming from the U.K. When you are sending large sums such as you would need to do to rent housing, fees based on a percentage basis of the amount transferred can take a huge chunk out of your funds. In general, it is estimated that bank fees combined are approximately £100 on each £1000 transferred. Since £100 is around 120,000 taka that could be a full month of rent that you are giving to the bank in Britain. Or better yet, you can use that money to pay monthly a loan for buying a house or an apartment. Even if you don’t plan to stay for the rest of your life there, buying a property overseas can mean a very good investment for the future. Thinking Of Relocating To Bangladesh? Affordable Housing: It costs on average USD $30,000 to build a home. Affordable Vehicles: Vehicles are imported from Japan that average $20,000 USD per vehicle. Affordable Clothing: An astounding 99% of Bangladesh’s clothing products are exported to be sold marked up at a substantial profit. If you purchase your clothes in Bangladesh, you will save a small fortune! Low Income: Per capita income is still below $500 USD per year. High Population: 380 new children are born daily with limited resources. At this rate, the population will double in 30 years and the country will not be able to support the substantial increase in population. Flooding: 25% of Bangladesh is 1 meter above sea level, which makes it vulnerable to flooding. Popular cities for business and real estate transactions in Bangladesh are: Dhaka, Chittagong, Khulna, Rajshahi, Comilla, Rangpur, Tongi, Narsingdi, Cox’s Bazar and Jessore. What is needed to transfer money to Bangladesh? Create a free account with the company. Receive a quote online or by the phone from one of the dealers. Fund your account with the amount of money needed for the transfer. Receive a confirmation that the transaction is completed from the company. Send Money to Bangladesh: Companies that provide international money transfers to Bangladesh. Send Money from Bangladesh: Companies that take on Bangladeshi Customers. The fact that the British pound has so much power over the Bangladeshi Taka, makes the “transfer fee” topic be so important. And I’m going to come with another great example – The monthly salary in Dhaka (the capital of Bangladesh) is almost 10 times lower than the average in London. Just think about the difference – what you will do with one pound in London, you can do it 10 times in Dhaka. This why avoiding banks for this kind of transactions is a good idea. The money that you will spend on fees could easily be put to something useful and productive. Be it the apartment rent or the groceries for a week or just spending it on a nice weekend, the fact is that you, or the person receiving the money, could really do something with that money.